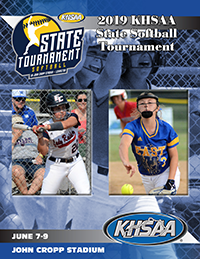 The KHSAA has received a few inquiries from umpires, media members, and fans about the National Federation of State High School Associations (NFHS) rule change in softball regarding the placement of a designated temporary media area in live-ball territory. As the body that writes the playing rules for most high school sports and activities, the NFHS made a rule change in 2019 eliminating the option of designating such an area in softball (Rule 1-1-7; 2-22-4 tables 5-1; 5-1-1o). As a reminder, this change was covered on slide 33 in the 2019 KHSAA Coaches & Officials Softball Rules Clinic. NFHS Rule 1-1-7 states “Media shall be prohibited from being in live-ball areas. 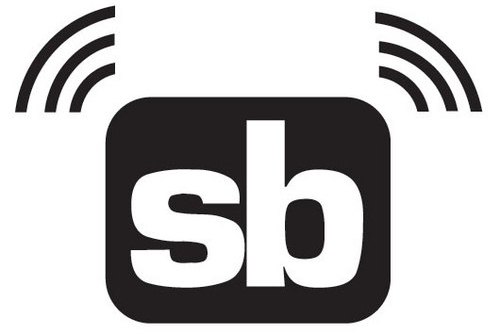 The home team or game management may designate an area for the media in dead-ball territory.” Previously, the rule allowed for temporary media areas to be created in live-ball areas by home game management, however, we wanted to remind everyone that this portion of the rule no longer exists. The included picture depicts the formerly permissible area under the previous rule, which is no longer permitted under the rules revision. Home team or game management may continue to designate media areas, but not in a live-ball area. 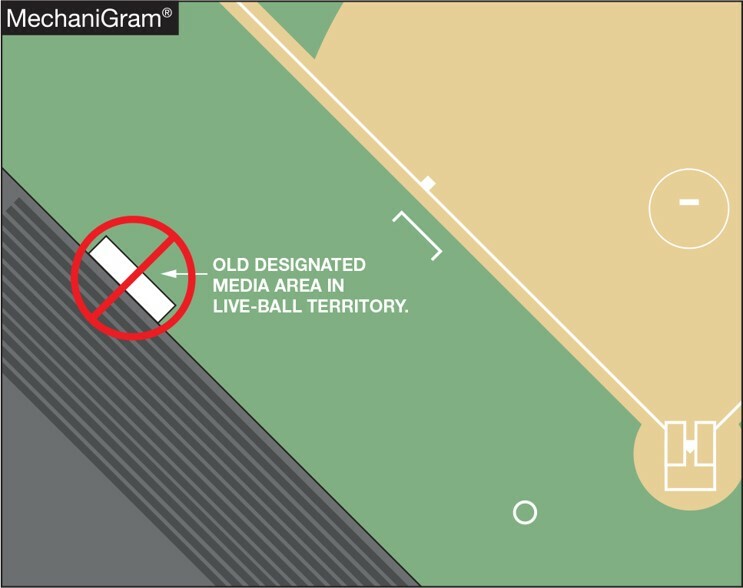 Dead-ball territory does not include the team dugout, as media members are not permitted to be in the dugout. This rule change was designed to minimize risk to participants and others. Please feel free to contact Assistant Commissioner Sarah Bridenbaugh (sbridenbaugh@khsaa.org) at the KHSAA offices should you have any additional questions or need specific situational interpretations.